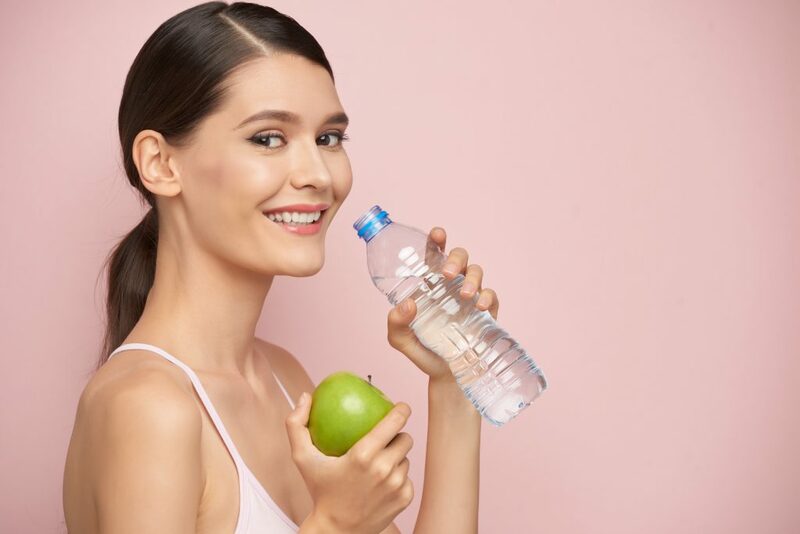 There is a definite connection between what you put in your body and the health of your nails, skin and hair. But how does diet really impact your skin and hair? Find out. And then consider some easy changes you could make for a better you. Sure, your skin is dryer in the winter and that can affect your scalp and hair. But you can’t blame dryness solely on the weather outside. What’s happening inside? If you’re not well-hydrated neither is your skin and hair. Start with wholesome H2O. You should have plenty of water every day, even in the winter. And coffee doesn’t count! In fact, caffeine actually dehydrates you. Next, add some nutrient-rich fruits and veggies that are loaded with vitamins and minerals that your body may be craving. A lack of vitamins and minerals can leave your hair looking brittle and your skin dry. Fruits and veggies have a naturally high water content and lots more. Try berries, mangos, and papaya for antioxidants and vitamin C. Make sure to include protein-rich foods like beef, chicken, fish, and beans. The amino acids in those, combined with vitamin C, zinc, and copper, help you produce collagen, which gives your skin a naturally youthful look. And nuts are rich in vitamin E, which can help protect you from UV rays that can cause dry skin—and worse. There are many potential reasons for thinning hair. Check with your doctor if it’s sudden or severe. However, if your hair just doesn’t look as shiny and healthy as it once did, and there’s more hair in your brush than usual, consider what you eat. Protein is essential for hair growth and skin rejuvenation. Eat at least 50 grams of protein a day to keep your body balanced. Protein is found in fish, meat, eggs, yogurt, and most varieties of beans. Low iron can also cause hair loss and it can affect the pigmentation of your skin, making it pale. Iron is found in such foods as red meats, leafy greens like spinach, and beans and lentils. Everyone’s skin is unique, and acne has many causes, but there are some foods that are linked to breakouts. For example, many people have a reaction to dairy due to the artificial hormones that are often found in milk. These hormones can throw your own hormones off balance when you consume dairy products. And although greasy foods don’t necessarily cause greasy skin and hair, they are linked to a poor overall diet, which can cause acne. Most importantly, if you want clear skin, listen to your body. Yours may react to foods that your friends can consume without a problem. Pay attention and adjust your diet accordingly. Once you take care of the basics of skin and hair care with a good diet, why not pamper yourself with a salon visit? Salon Success Academy offers appointments to the public at all of our Inland Empire locations. All work is performed by Salon Success Academy students, under the supervision of certified instructors.